The mid-2000s were filled with news of Hollywood stars taking human growth hormone (HGH) to improve their physiques. Britney Spears, Madonna, Janet Jackson, Brad Pitt, Nick Nolte, Goldie Hawn, Oliver Stone, and Jennifer Anniston were just some of the celebrities who either admittedly took the drug or were rumored to be doing so (1). Of course, there was also the famed 2007 incident where Sylvester Stallone was caught and charged with importing HGH vials into Australia (2). Strangely enough, though, I haven't seen much news about celebrities using HGH since Stallone was busted. Did Hollywood stars simply get tired of the stigma attached to them using this drug and stop taking it? I'm curious about the lack of news over the past decade, so I've done some digging to see if Hollywood stars are still using this powerful compound. Keep reading to see my findings. Why do Hollywood Stars Take HGH? The lack of reports on celebrity HGH usage hasn’t changed over the past decade-plus. But I did find one interesting story from the Hollywood Reporter that offers insiders’ takes (1). The report covers how A-listers use performance-enhancing drugs (PEDs) like HGH to chisel their physiques for certain roles. Hollywood trainer Happy Hill spoke with the site about how "20 percent of actors" use PEDs. "HGH is on the scene now more than ever before," he said. "It's hard not to use. Some people, especially the older ones, are looking for that perfect gym body, and they want a shortcut." Of course, not everybody using HGH is a young actor who wants a shortcut. Plenty of Hollywood's leading men and ladies are in their 40s and 50s — age ranges where the body's natural production of growth hormone slows considerably. Even Hill, who trains his clients naturally, notes the difficulty in attaining six-pack abs after age 40 "unless you are extremely genetically gifted." USC professor and PED expert Todd Schroeder is another who knows how difficult it is for actors to get ripped as they age. "If someone says, 'Hey, add [PEDs] to this workout,' you can get substantial changes very quickly," said Schroeder. Some Hollywood stars who use HGH do so to remain youthful rather than to get a chiseled body. The late actress Dixie Carter, who had lengthy stints on Designing Women and Desperate Housewives, admitted to using HGH for its anti-aging benefits. 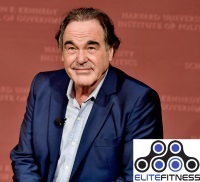 Oliver Stone, who's directed hits like Scarface and Money Never Sleeps, has also used the drug to stave off father time. Why don't We Hear about Celebrities Using HGH as Much? The Hollywood Reporter piece is from 2013, which makes it several years old at the time of this writing. But I doubt that celebrity HGH usage has suddenly leveled off since then. So why don't we hear about it more often? Like in the mid-2000s, when there were many high-profile stories on the subject? The main reason is because off-label HGH usage is still a taboo subject. Human growth hormone and other PEDs have received a bad name ever since scandals involving professional athletes. Sports leagues and the media have demonized PEDs so badly that everyday people aren't comfortable letting anybody know they use HGH. Now, imagine being a famous celebrity. You'd likely want to keep your PED usage private if you were taking the drug. Oliver Stone and Goldie Hawn, who have admittedly taken HGH, are exceptions to the norm. Of course, there's always the chance that some whistle-blower could out celebrities who use PEDs. But at the same time, these people would risk their careers by ratting out the industry's big names. I suspect this is why Happy Hill and others interviewed for the Hollywood Reporter story kept the names a secret. Nevertheless, HGH usage is just as rampant as ever among celebrities. Tatiana Siegel, who authored the Hollywood Reporter piece, expressed this thought by writing: "Several talent agents and managers interviewed for this piece chuckle at how steroid and HGH use is the new worst-kept secret in showbiz." Another big reason why we don't hear about stars taking PEDs as much is because it's no longer hot news. 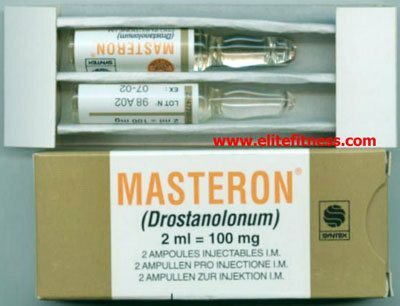 The mid-2000s were rife with reports on Major League Baseball players and other athletes using steroids and HGH. Hollywood journalists piggy-backed on this drama by uncovering some of the PED usage amongst celebrities. But people eventually grew tired of headlines involving these drugs, and news outlets moved on to the next trend. Increased insulin-like growth factor 1 (IGF-1), which helps users build muscle easier (6). Heal injuries and recover from workouts faster (8)(9). All of these benefits can help Hollywood stars who need to get cut for certain roles. But there's another driving force besides simply getting in shape. Studios have tight schedules for films, and actors are expected to be ready on time. Seigel noted that actors usually have just one or two months to alter their physique before the cameras start rolling. Mike Dolce, a performance coach who's trained CSI: NY's A.J. Buckley and MMA star-turned-actor Quinton "Rampage" Jackson, spoke about the stress placed upon stars. "The pressure to perform in Hollywood is no different than it is in Major League Baseball," said Dolce "These are people whose salaries are partially dependent upon how they look." As long as Hollywood's elite are pressured to get in shape, don't expect them to stop using human growth hormone and other PEDs any time soon. When combined with good diet and exercise, these drugs offer the quickest way to get ripped for a role. As for whether Hollywood's HGH fascination will ever become big news again, I suspect that it will happen at some point again. But it may take another big scandal in professional sports before we see the topic become trendy. Until then, you can be sure that celebrities will continue using PEDs to meet tight deadlines to get ripped. 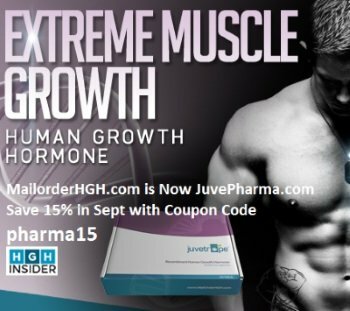 For a limited time, September 2018 Juvetrope HGH has a 15% off sale for all items, coupon code: pharma15 -- use it soon!!! 6. J Clin Invest. 1993 Feb;91(2):391-6.